As I mentioned yesterday, it’s been a busy season. Between work, travel, birthday celebrations, more travel, and general busy-ness, I’ve not had much time to tend to my fountain pens. In fact, everything you see above has sat unused for at least two weeks. I thought it would be a great time conduct a small experiment: Will it Write? Here’s where things ended up . . .
Jinhao Dragon Eyes (I have no idea what the real name of this pen is) – started right up! Want to get one of these for yourself? Amazon has them for under $15 right now. Nakaya – this was my birthday pen from Mr. Pentulant this year. It’s gorgeous, but I’m having trouble with the flow and it’s going to have to go back. Ugg. More on this another day, but for today – it didn’t write – not even a little. Disappointing, but I’m sure it will get fixed up and be perfect. Parker Duofold Demi – started right up! Franklin-Christoph Model 20 – I really thought this big wide music nib would have dried out over the two weeks that I didn’t use it, but – no! It wrote like a champ! So happy about this. 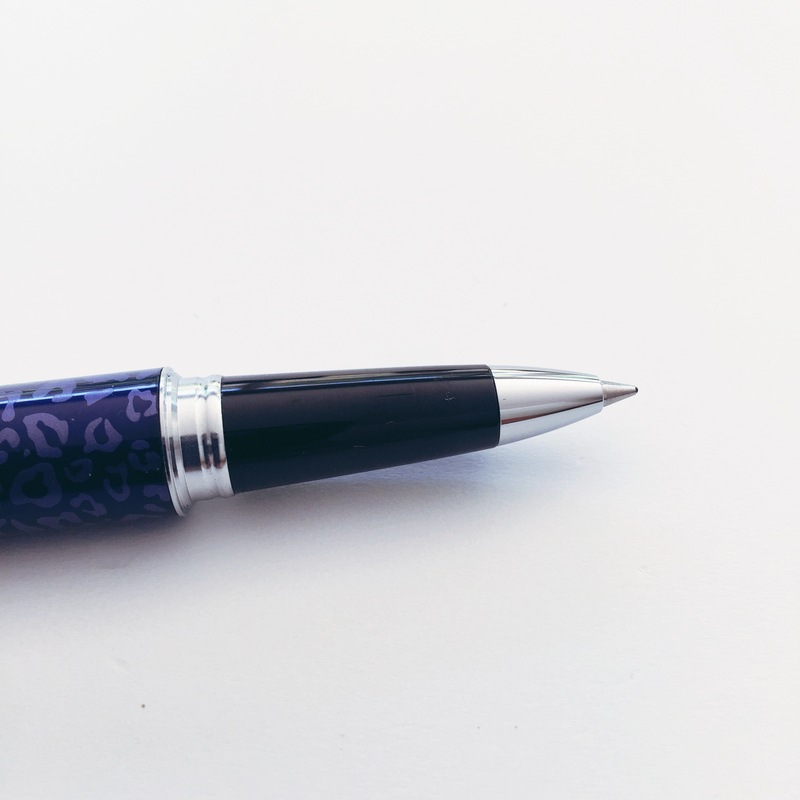 Pilot Elite – Gah, I love this pen. I’ll review it soon. Until then, go buy one for yourself. This one started right up, too. 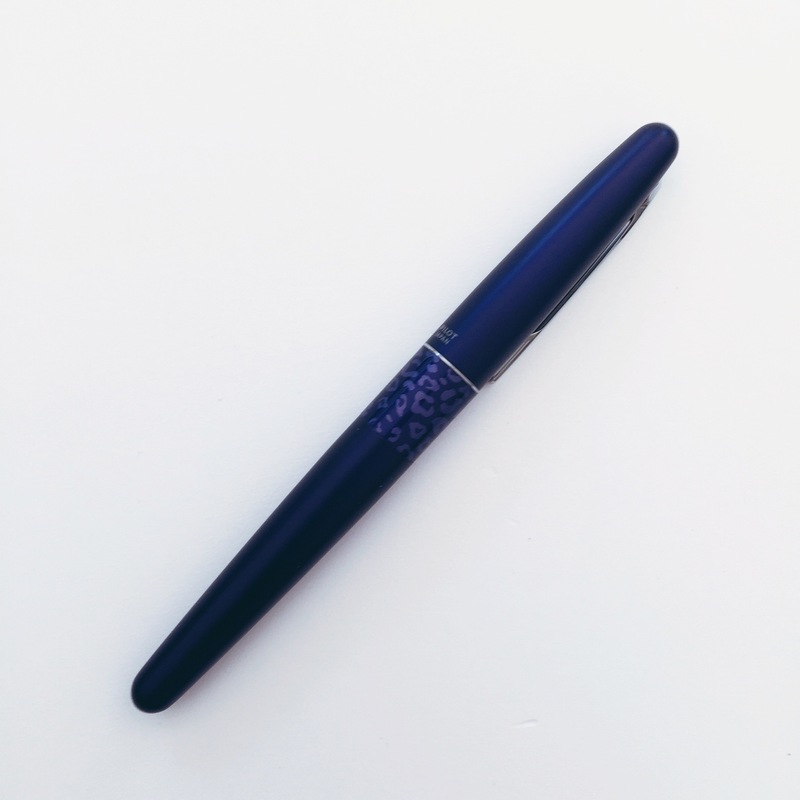 Montblanc Boheme Large Edition – I received this pen as a gift from Mr. Pentulant last Christmas. It didn’t write at all after having sat for two weeks. 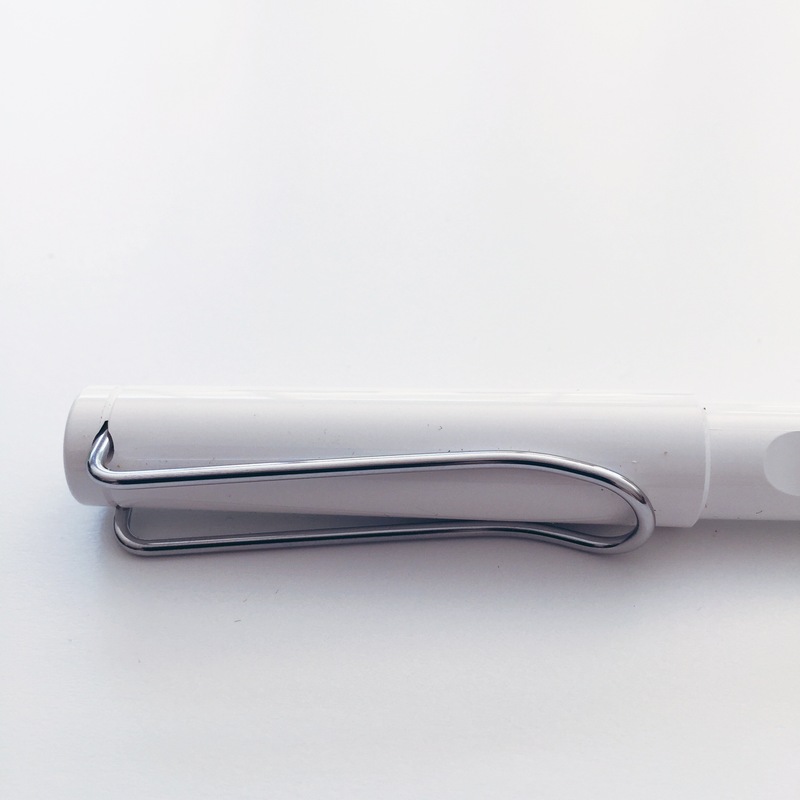 I’m not surprised, there is clearly an issue with nib – and perhaps with the twisty mechanism. I’m going to need to find someone to have a look at it. Ug. 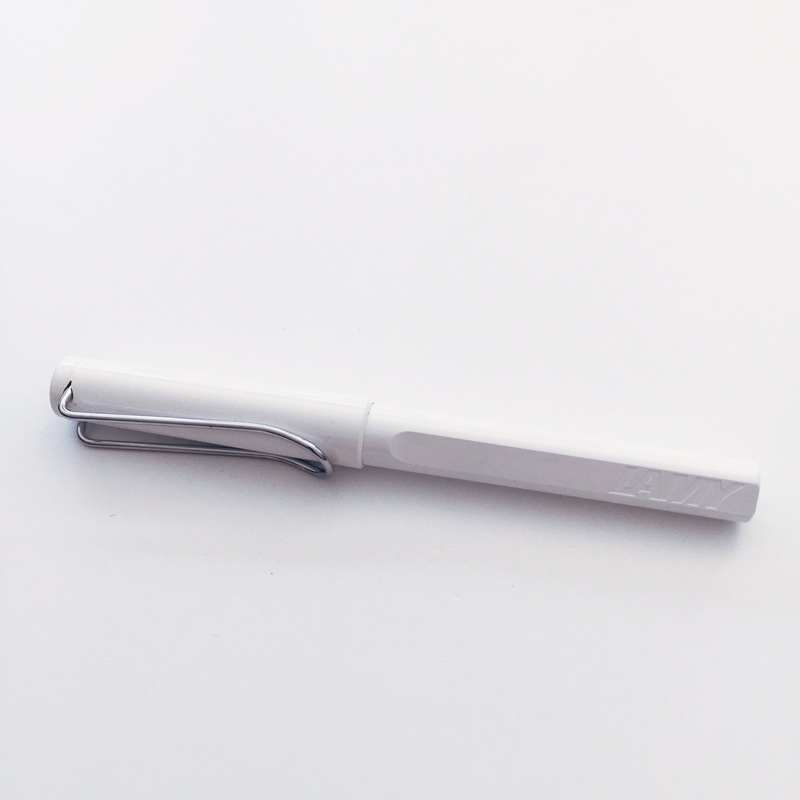 Lamy Safari – no surprise, it started writing the instant it was touched to the paper. TWSBI Mini (Rose Gold) – I was having trouble with this pen before it sat. It’s no surprise that those issues didn’t fix themselves while sitting in the pen tray. I think the issue is baby’s bottom and I have an urge to try to fix it myself. Will you posted on how that turns out! Jinhao 159 – review coming soon – it started right up! A happy surprise. (I got this one from Goulet Pens.) It comes in black, orange, and yellow. The yellow is on sale as of this writing. 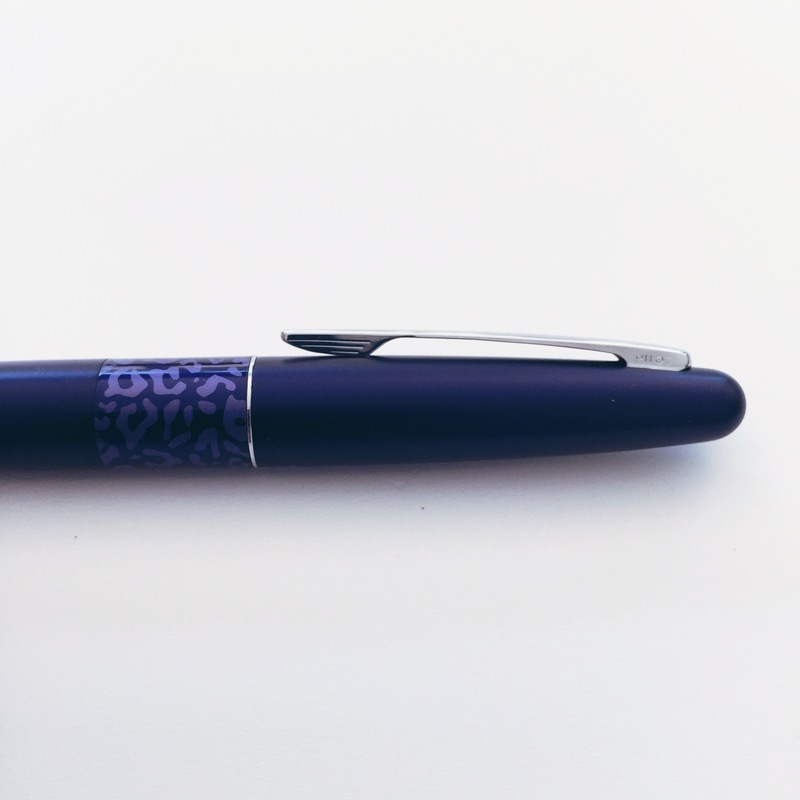 Monteverde Artista – one of two pens that kinda sorta wrote after having sat for the two weeks. I kept feeling like it would start writing well “any second now,” but that just didn’t happen. Montblanc Solitaire Geometric – Another pen I’d been having a little trouble with before my break. It started right up, but the hard starts on some letters remains an issue. I’m going to need to take this one back to the MB Boutique for a look. Finally, the TWSBI twins – red and green – they wrote wonderfully! Overall, I’m pretty happy with how this went. 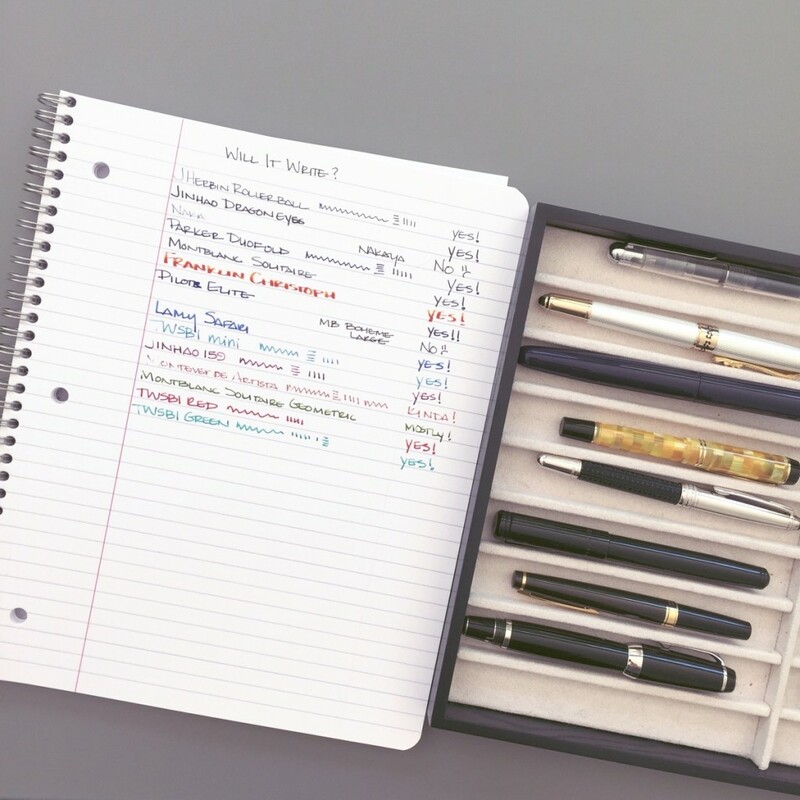 The Nakaya is definitely the biggest disappointment – unfortunately, though, I wasn’t terribly surprised as I’d been having trouble with it. Those Jinhao pens (the dragon and yellow) surprised me in the best way by starting right up. 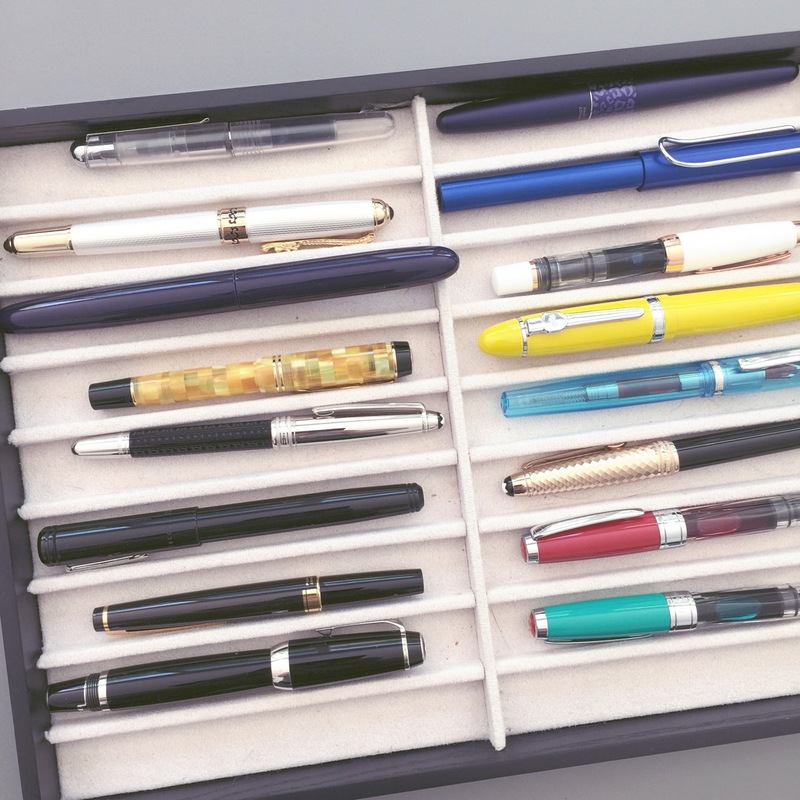 I’m sure it’s not lost on anyone that some of the cheapest pens started up right away and some of the most expensive pens are an issue. I’ll let you draw your own conclusions from that. I’m hoping life is at pleasant lull and I can get back to enjoying my pens. How is your summer so far? Busy, busy like mine? Relaxing and calm? This or That – Rollerball Edition! In the way-back past, I was not a fan of rollerballs. More often than not, they just didn’t write well for me. 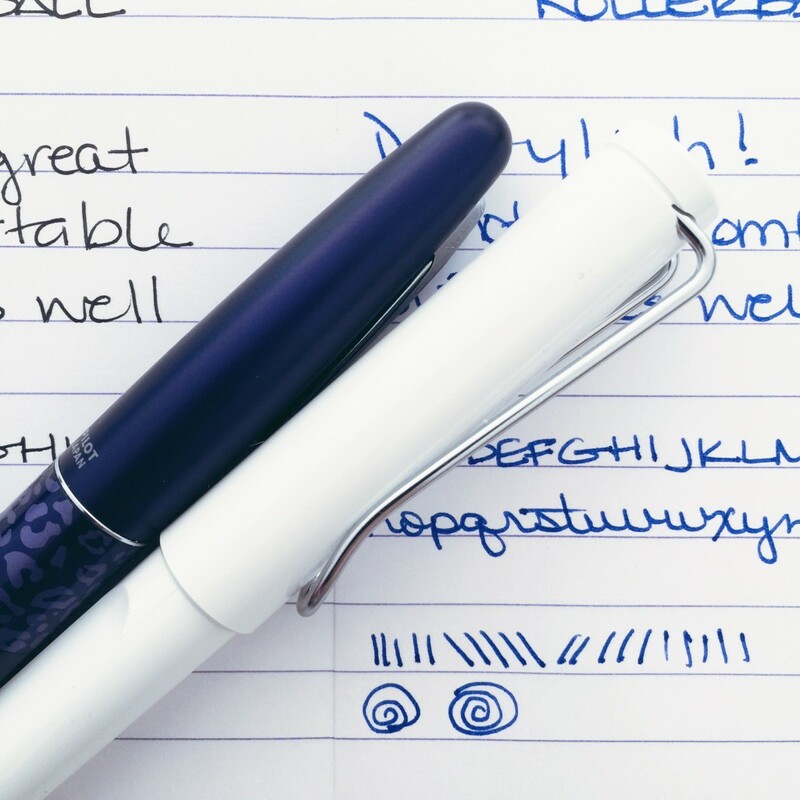 I’ve since learned there can be a couple of reasons for this: 1) rollerball inks have traditionally been liquid and these can dry out quickly, and 2) depending on the user’s grip, the angle of the pen may put the ball in such a position that it doesn’t roll smoothly across the paper. I was definitely feeling guarded when I ordered, but let’s dive in and see how things worked out. Both pens are attractive and look very much like their fountain pen cousins. Brian Goulet has a terrific video about the Safari Rollerball where he talks about all of the differences between it and the fountain pen. You can see that video right here. Even the grips of each pen look familiar. However . 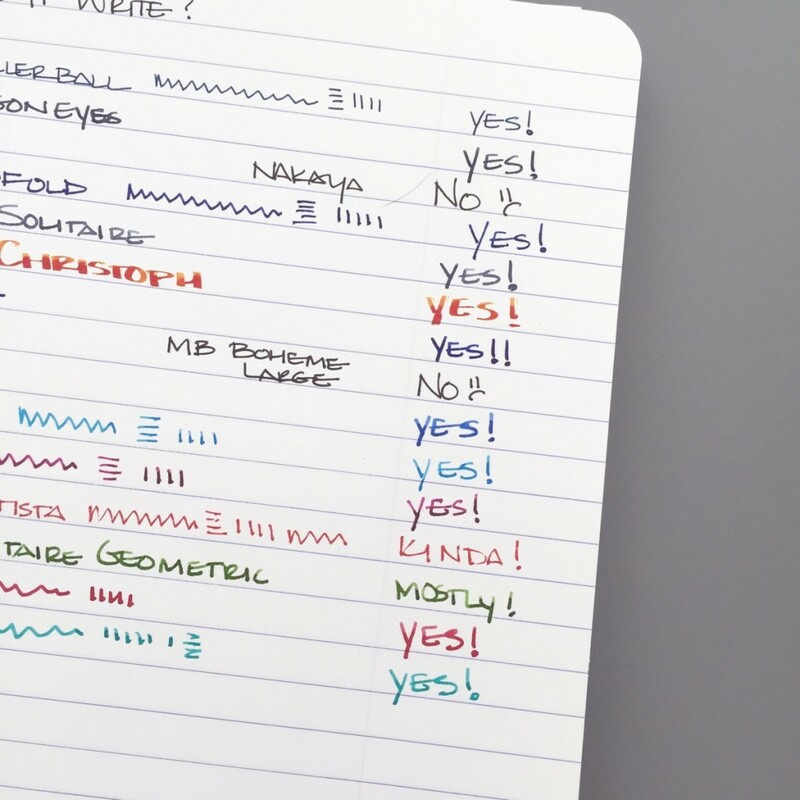 . . Those of you who have the Lamy Safari fountain pen(s) know that they have a unique grip section. The Lamy Rollerball has a similar (but different) grip that I am not finding 100% comfortable. But how do they write? Actually . . . quite well! The Metropolitan came equipped with a black refill. 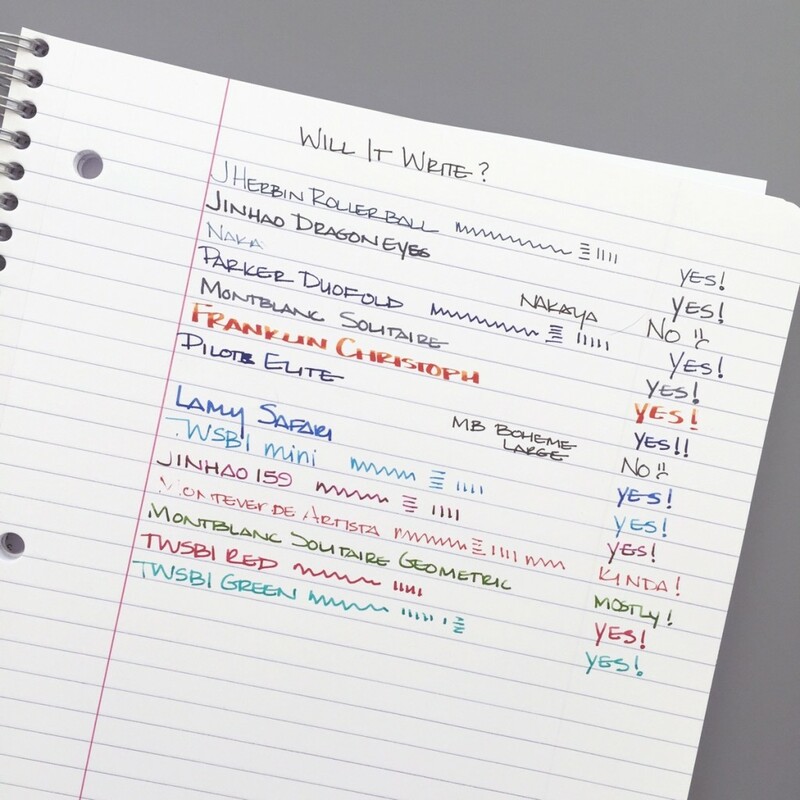 Pilot G-2 gel refills are available in a variety of sizes and colors. 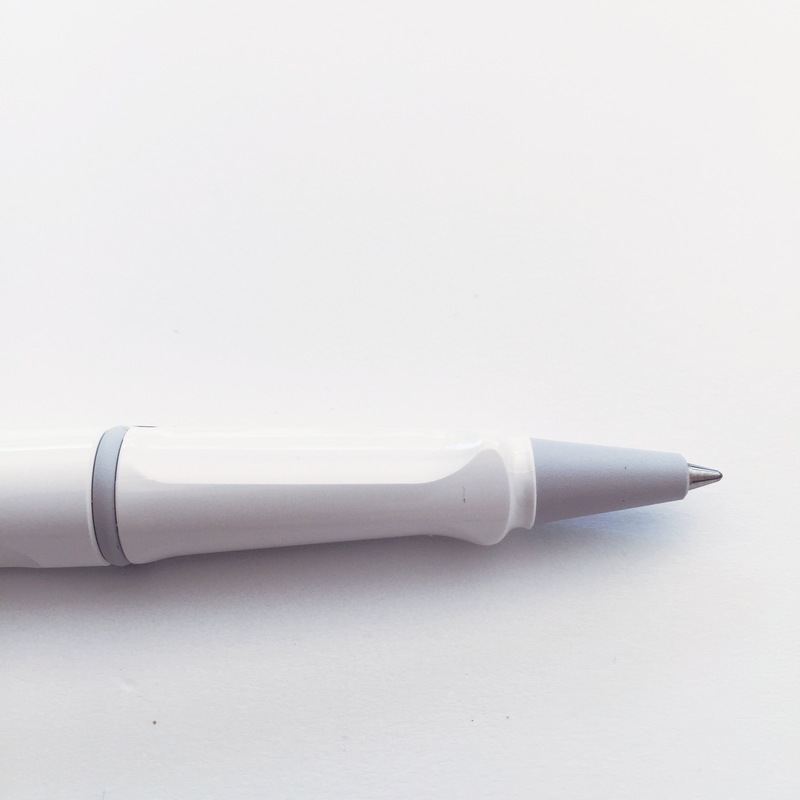 The white Safari comes with a blue refill – all of the Lamy rollerballs come with a black refill (I don’t know why). Refills are available in standard colors – black, blue, red, and green. 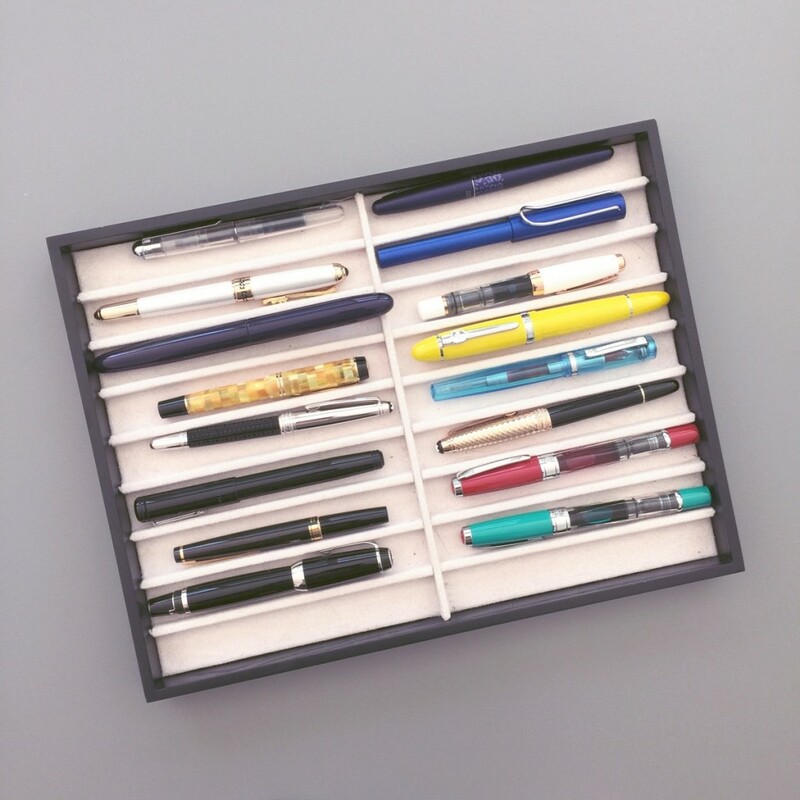 I checked in with Goulet Pens – these refills are also gel. And here’s a side-by-side comparison for you . . . So which one? This or that? 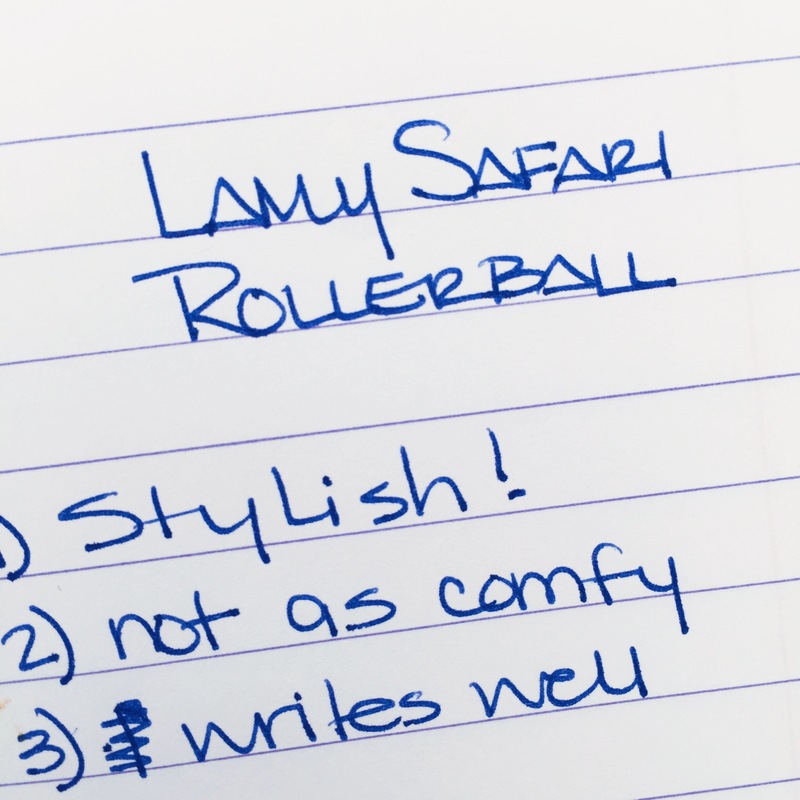 While each writes wonderfully, the Lamy rollerball grip isn’t going to be comfortable for everyone. 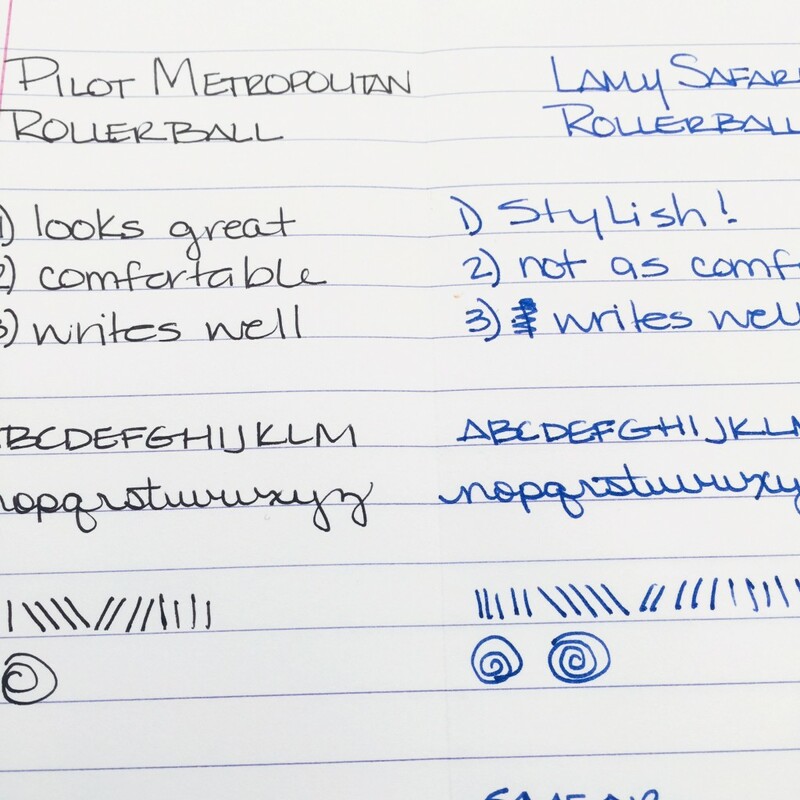 The Pilot Metropolitan seems to be around $8-10 less than the Safari Rollerballs – even more if you’re digging the Al-Star Rollerballs. 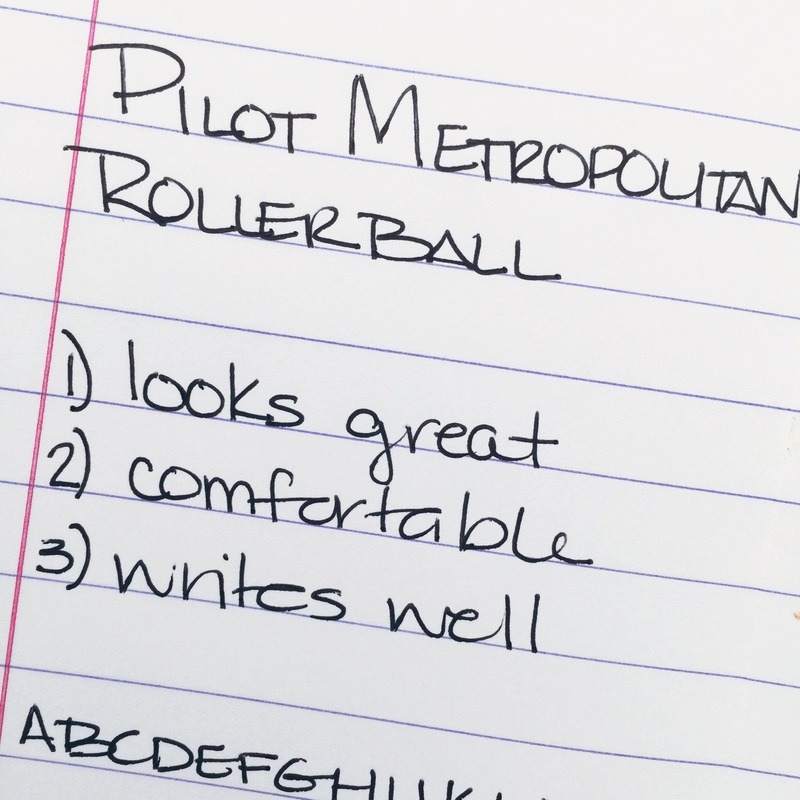 Bottom Line: Easy decision for me – Pilot Metropolitan Rollerballs, for the win! Have you tried either of these? What do you think of rollerballs in general? I’m a bit of a convert after experiencing these!